Installing the power rake onto your lawnmower is a simple, 10 minute process with a socket tool. My Snapper Lawn mower had two bolts which had to be removed. The blade comes with an assortment of washers which I ignored because they didn’t appear to be necessary. 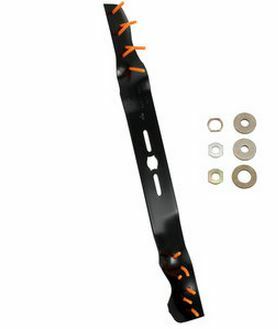 The biggest complaint from users about power rake mower blades is that they tear up your lawn. One of the reasons I bought the Arnold power rake is for the softer, yet rigid tines which would seem to do less damage. The most important thing to realize with this product is that you need to be patient and take your time. The first thing I did was mow my lawn with the original blade to get the grass short and make power raking an easier process. I used my bag to collect the lawn clippings. I also used the bag throughout the dethatching process. Why force yourself to have to rake up all of the loose clippings and thatch afterwards? The bag did an excellent job collecting all of the thatch. 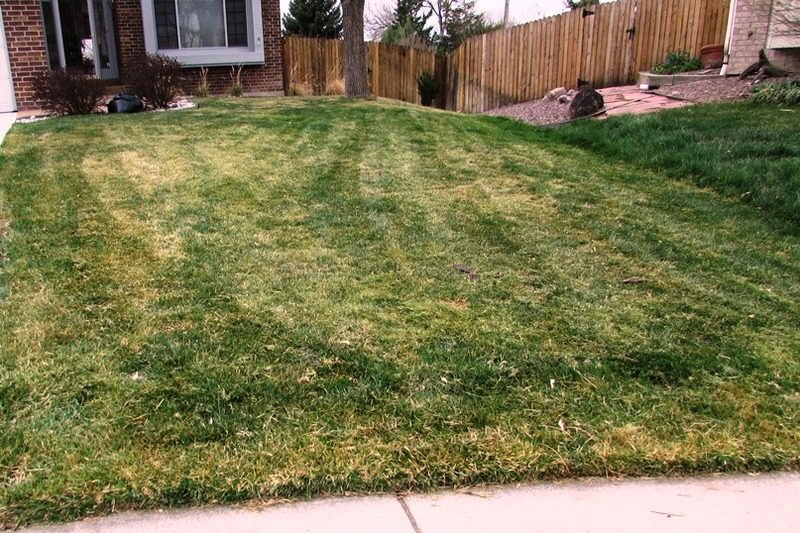 One other thing that is important to realize is that the level of the grass in early spring is not even throughout. Power raking the yard requires experimenting with different settings to achieve a good raking of all the dead surfaces and debris. I actually ended up going over my lawn three and a half times. I started with a high setting, then switched to a medium setting than a low setting. Finally, I switched to an even lower setting, for the lowest, thinnest sections of grass. F irst and foremost, I am pleased to say that the power rake did not once tear up my lawn so I could see sheer dirt underneath. I did have some sections of the lawn where grass was already missing and even on the lowest setting that I used, the power rake did a very gentle job removing thatch. The secret is to start with the higher settings and adjust as needed. I collected two very heavy bags of finely shaved grass. One thing that impressed me was how the power rake minced up the grass into very fine, dust like material which saved space and required much less bagging. After I had finished power raking with the low setting, I was satisfied that the job was finished without ever once being tempted to pick up my hand rake. The picture to the right shows how my grass looked after the job was done. Unfortunately, I was not thoughtful enough to take a picture before I started the job. If nothing else, the photo proves that the Arnold power rake did not cause any undue harm to my lawn.